Airbags are one of the most important safety features in today’s automobiles, and as a result, any problems with a vehicle’s air bags have the potential to put drivers and passengers at risk of suffering a serious injury. For this reason, the Ford Motor Company has recently issued a recall of model year 2013-14 C-Max and Escape vehicles after discovering a potential problem with the software that causes the side curtain airbags to deploy in a rollover accident. Even a minor delay in the deployment of side-curtain rollover airbags can have devastating consequences for accident victims, and as a result, those who have been the victims of injuries arising from an accident involving problems with airbags in the Ford C-Max or Escape vehicles may be entitled to compensation. 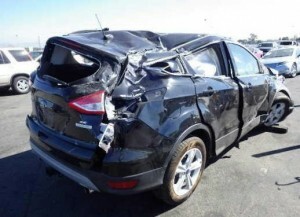 If you have suffered injuries caused by airbag deployment problems in either of these Ford vehicles, the lawyers from The Willis Law Firm understand how terribly you and your loved ones may have been affected, and we work to help accident victims in these situations pursue the financial compensation and justice they need. These and other types of injuries should not be the responsibility of accident victims to deal with alone. 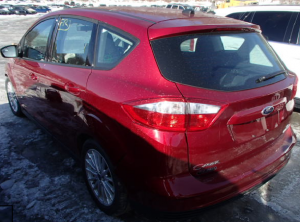 Ford is expected to begin the recall on May 26, and owners of affected model year Escapes and C-Max vehicles will be able to have their cars repaired for free. If you suffered injuries that occurred as a result of the side-curtain rollover airbags in your Ford Escape or C-Max failing to deploy properly, we can help you fight for justice. Contact The Willis Law Firm today at (800) 883-9858 to speak with a qualified attorney about your case and learn more about what we can do for you.